Leafy Creeper is a beautifully crafted flower stick which satisfies the purpose of decoration. It consists of 3-4 bunches of small flowers and lots of leaves. Constructed from plastic and synthetic fiber, this flower stick harbours a sturdy construction. Each flower stick consists of a few bunches of flowers comprised of small red plastic flowers and numerous average-sized green leaves. With a height of 48 cm and width 70 cm, this flower stick does fit in the regular sized vase. Each plastic flower and each plastic leaf is artistically designed and crafted with utmost precision. The plastic and the synthetic fibre makes the flower stick resilient of any ruination and is considered an ideal substitute of any real flowers. This flower does not require water to sustain. The flower stick displays strong and firm character. This flower stick is a very beautiful decorative item that brightens up your entire room. Leafy Creeper completely blends with the decor of your room, and the colour adapts to the surroundings as well. This flower stick is compatible with a vase of any structure or colour. This flower stick can be used to decorate homes as well as offices. 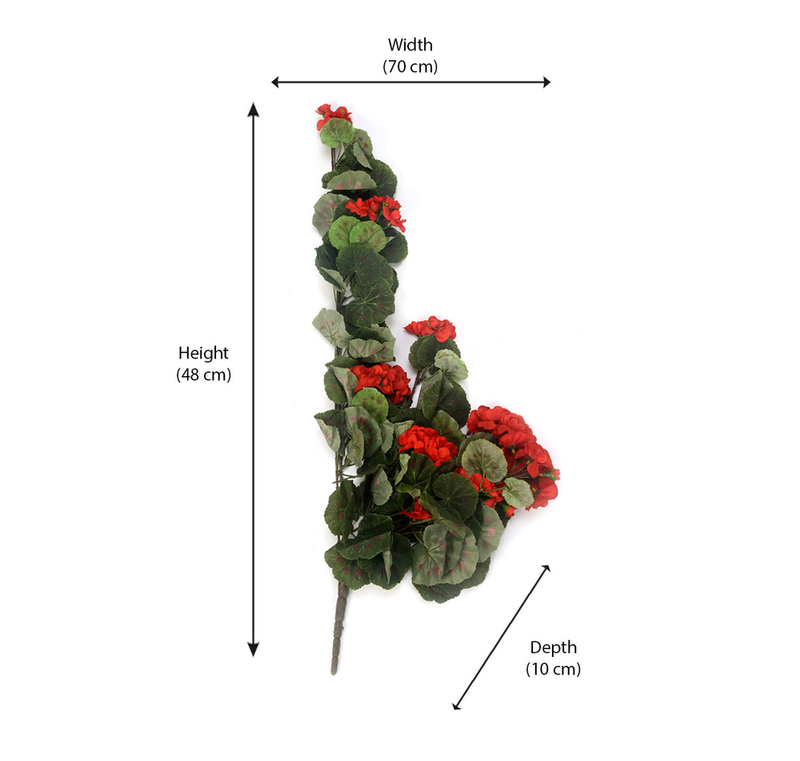 Therefore, enhance your room with the exquisite 70cm Leafy Creeper Flower Stick @home.